Determining the effect on the product when the factor is doubled and halved. Representing a multiplication or division problem with pictures, diagrams, or models. What is the relationship between these problems? 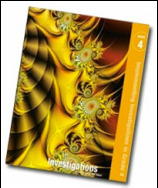 Be sure to look at the differentiation on P. 127 of the Investigations lesson. Leveled problems are offered. What might the missing numbers be? How many solutions can you find? How do you know you have found all the different solutions? 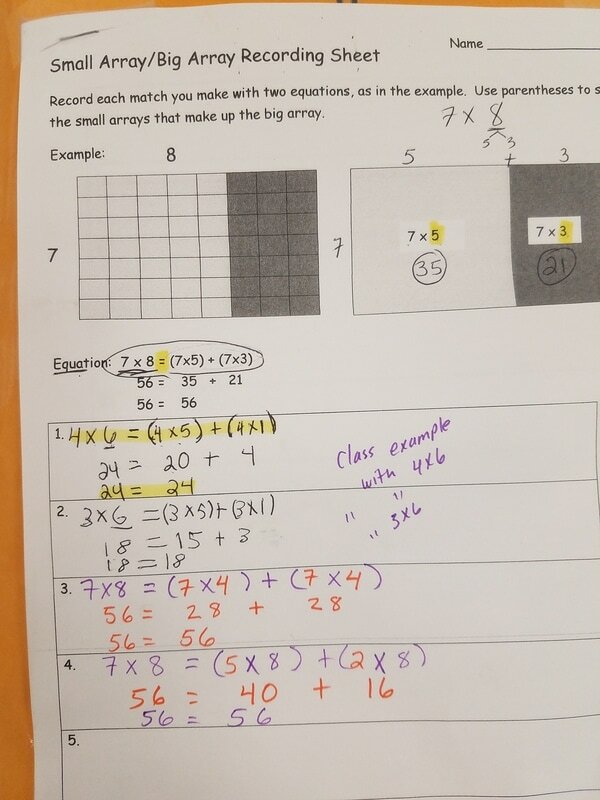 Exit Slip: Solve 4 x 24 and 8 x 12...How are these problems related? 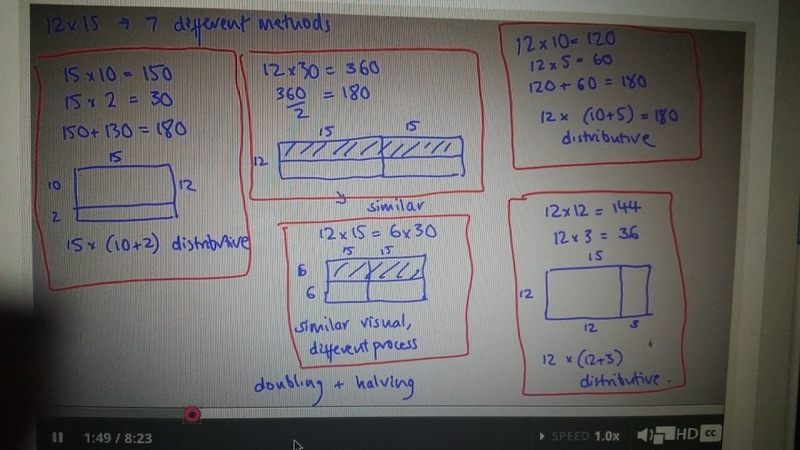 Note 12 x 15 number talk as an example of doubling and halving. Look at these two problems. How are they related to each other? How are the two answers related? (Note: If no one offers the array model, introduce the idea yourself by drawing an unmarked array of 16 x 3 and followed by a divided array 16 x 6. We are recommending to combine Sessions 4.2 and 4.3 as they both work with patterns in multiplication. Exit Slip: Solve for 18 x 2 and 18 x 4. How are these equations related? What do you notice? How do you know? Look at these two problems. What factors are missing? How are they related to each other? How are the two answers related? 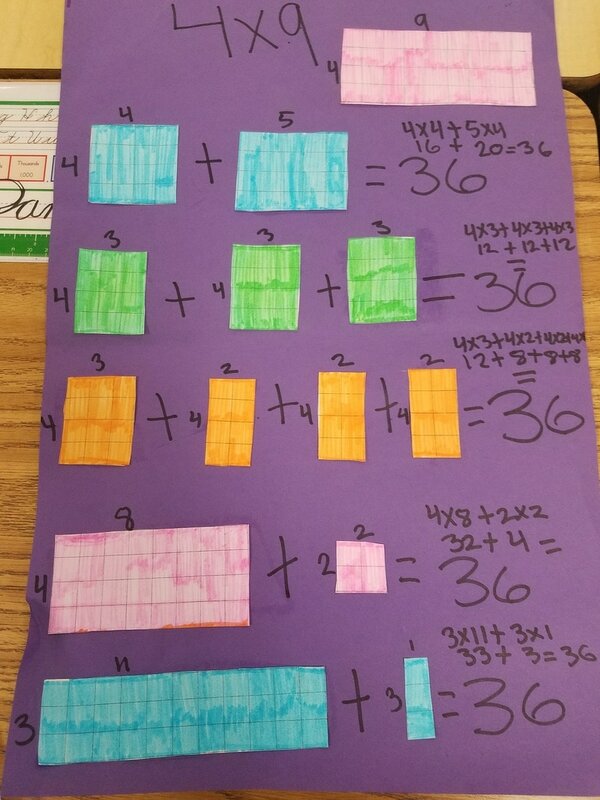 ​Ask students about what strategies can they use to break apart the numbers 2(28x5). SAB 64. 7 x 34. Small array/Big Array Cards and Recording sheet. 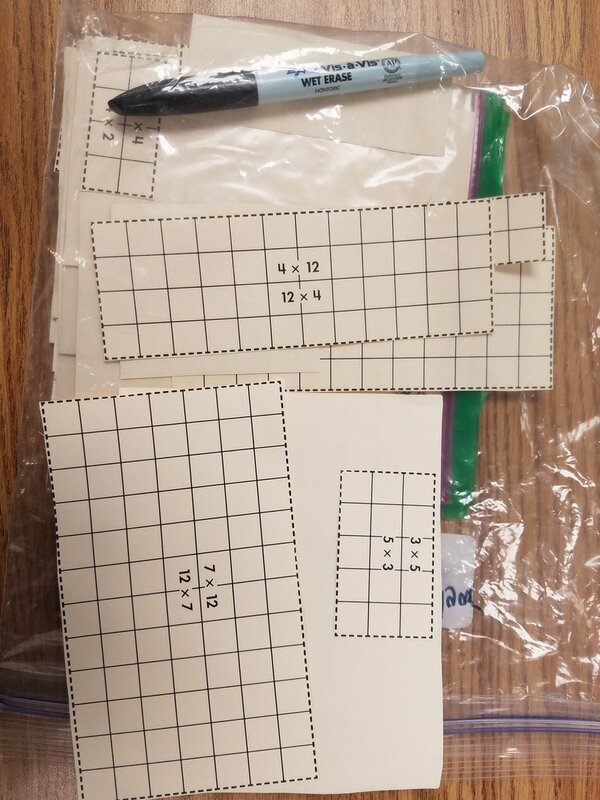 *Developing strategies for multiplying that involves breaking apart numbers. write the number 130 on the board. Ask and students to think of all the paossible factor pairs for the number. Continue on breaking numbers apart. Review pae 65. 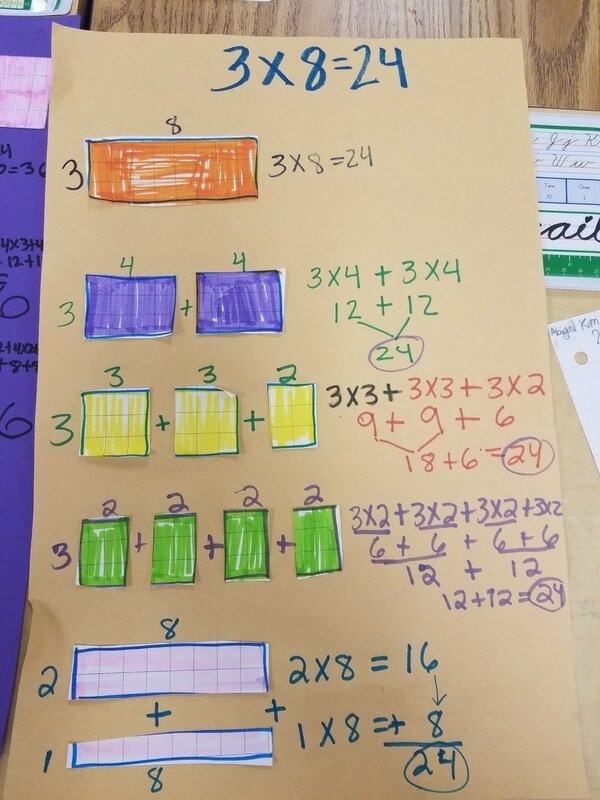 Student activity book pages 61-62 and 65.
developing strateies for multiplication and division by the use of our of he five benchmarks descibed in unit 4.